A 5 star look at the history of an iconic brand. 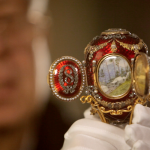 Fabergé: A Life of Its Own is written, directed and produced by Patrick Mark (The Last Man On the Moon) and masterfully narrated by Samuel West (Van Helsing, Notting Hill). 3 stars for this lack lustre but well acted thriller. Shut In is written by Christina Hodson (Unforgettable) and is her screenwriting debut. 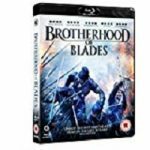 It is directed by Farren Blackburn (Doctors, Holby City), who is more accustomed to directing TV shows and does seem to struggle somewhat with a feature length film. Life and Death in the Dark Hour. 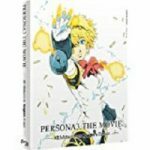 A-1 Pictures bring us the second instalment of the dark Persona3, as the SEES continue their fight against the Shadow Arcana, it’s a life and death struggle to get rid of the Dark Hour. 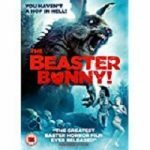 3 stars for this dreadful but still highly entertaining horror comedy. The Eyes, The Ears and the NSA. 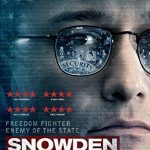 Controversial directer/producer Oliver Stone (Natural Born Killers, JFK, Platoon, World Trade Center) brings us another event that changed how we view those who are there to serve and protect us from those that would harm us. 5 stars of hilarious and heartbreaking antics aboard the Thousand Sunny. 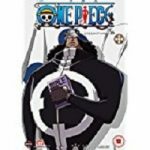 One Piece is a long running anime based on the serial in Weekly Shōnen Jump magazine written by Eiichiro Oda and telling us of the adventures of Monkey D. Luffy and the rest of his crew, the “Straw Hat Pirates”.